Here we’ll be looking at the different kinds of offerings that are attested to in tradition, with a little bit of information about the context in which they might be offered. Before we get to that, though, I think it’s important to make it clear that these aren’t the only things that are appropriate for offering. A lot of Gaelic Polytheists make offerings with non-traditional foods, drinks, and other kinds of goods, and many of us have found that things like coffee are often well-received. It’s important to remember, however, that not everybody has the same kind of relationship with An Trì Naomh as you might; different relationships mean different expectations, so what works for one might not work for the other. When deciding what to offer, trust your instincts first. When it comes to deciding what to offer, it’s up to you. You might prefer to concentrate on making more traditional offerings at festivals and mix things up at other times, you might prefer only to make traditional offerings… You might prefer to just go with the flow and offer whatever you have to hand at the time. Whatever works for you. And however often. 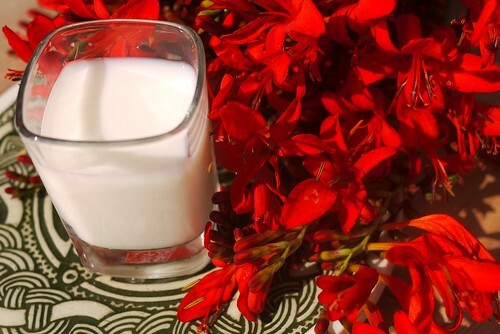 In Ireland, whatever milk was spilled on the ground during milking was said to be for the fairies, “for faeries need a little milk.”6 A little milk was poured to them after the cows had been milked in the field as well. 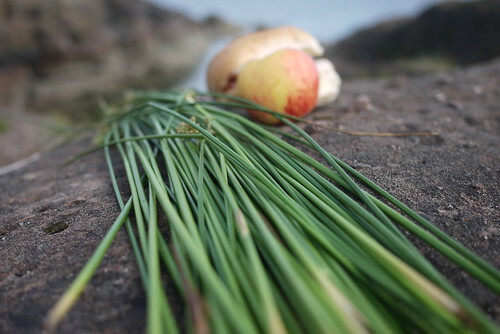 A thick caudle can be made and pasted onto the festival bannock (such as the strùthan Mhìcheil) in layers, with each layer being allowed to dry slowly by the fire. Bannocks are a type of unleavened bread usually made with barley, rye or oatmeal, although modern varieties might use wheat flour in addition to meal, or only flour. 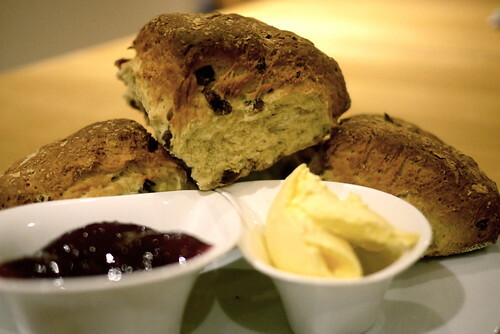 Originally bannocks were a simple mixture of meal, water, and some kind of animal fat, but over time some varieties have evolved and become more like scones or pancakes. Bannocks were a dietary staple in Scotland and a wealth of lore surrounds them, such as how they should be made, served, and how they can be used in divination or as charms to cure toothache, for example. As dairy products, cheese and butter are a good choice of offerings to help ensure future abundance. At certain festivals, such as Bealltainn in Scotland, the cheese might be of a specific sort, since it is traditional to eat sheep’s cheese and copious amounts of butter with the bannocks that have been specially made for the day. This is one of those areas where other considerations come into play. Alcohol is a poison and it’s lethal to aquatic animals so it can’t be recommended as an offering in water. In north America, alcohol should not be poured on the ground. In a similar instance, Kelly notes that cattle were often bled at Bealltainn in Ireland, since it was believed to be good for their health. Kelly further notes: “In some areas, the bleeding of the cattle clearly had a ritual significance and the blood was not consumed…and was evidently felt to provide magical protection for the cattle.”34 In this we can perhaps see an element of the blood being given as an offering, in order for the cattle to be protected in the coming year. Salt is valued for its preservative properties, and so in the time before refrigeration it was considered to be highly valuable itself. 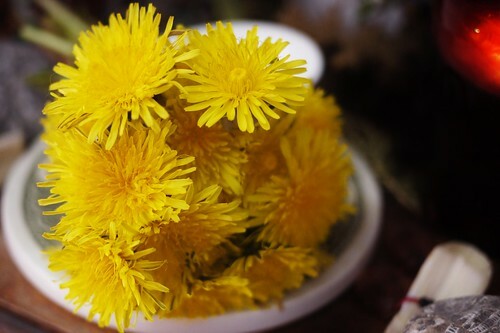 Perhaps because of its use as a preservative, which meant things like meat could be kept for far longer than if it was fresh, it was often believed to have protective qualities as well. In both Scotland and Ireland, food is sometimes left out at night, either for the daoine sìth, or for any ancestors or spirits that might visit while everyone slept, particularly at Samhainn.41 On these occasions, the food that was left out is likely to have been from the evening meal, which usually consisted of seasonally/festively appropriate foods. Types of offerings seem to have been specific to certain areas during the period 200BCE-200CE in Scotland, with metalwork predominating in the south and east, and wooden or other organic materials comprising a large portion of offerings found in the north and west.48 The reason for this is not clear, but it’s possible that environmental conditions of each area has skewed the data by favouring the preservation of one type of material over another. Availability of materials may also have a part to play. 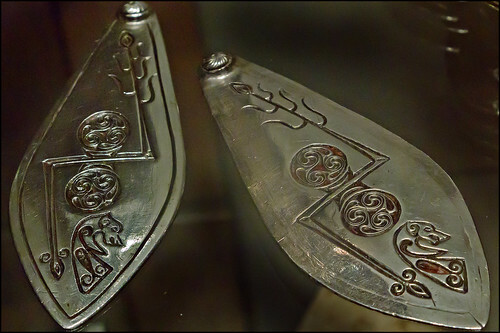 In later times up to this day it was common for silver coins – especially bent silver sixpences51 – to be given as an offering to wells when they were visited for healing or to secure good luck from the waters. In a similar vein, pins, nails, buttons, and beads were also given,52 along with stones of a particular type, colour,53 or even just an ordinary stone that was particularly smooth or oddly shaped.54 Twigs of heather are also attested to.55 These were either thrown into the well, or placed near it on a cairn or forced into (or nailed onto) a tree trunk. 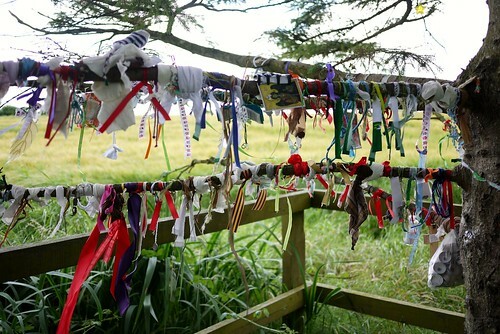 Brightly coloured rags or ribbons – clooties – may be tied to a particular tree next as an offering, usually as a means to leave some sort of trouble or ailment behind. These visits are supposed to traditionally take place before dawn on particular Quarter Days, although today clooties may be left at a tree (usually a fairy thorn or a specific tree near a well or other sacred site) throughout the year. The bright colour of the rag or ribbon makes the offering more attractive to the spirits of the place, and so makes it more likely to be accepted. In this way the trouble is also accepted, and so to remove any rags from a place is to take the trouble away with you.57 Although it’s considered to be very unlucky to remove a clootie from a tree – because with it, you might take the trouble – it’s becoming increasingly necessary for clootie trees (or ‘rag trees’ as they might also be known) to be periodically cleared of offerings because of the increasing popularity in the practice, combined with a lack of consideration about whether or not the clootie might harm the tree’s growth. It’s not recommended to use anything other than rags or pieces of cloth that will biodegrade easily, and which are tied loosely to the tree to allow for growth in the meantime. 3 Pennant, p759; Henderson, Survivals of Belief Amongst the Celts, p252;254. 7 McNeill, The Silver Bough Volume 1, 1957, p87. 8 McNeill, The Silver Bough Volume 1, 1957, p57. 9 McNeill, The Silver Bough Volume 2, 1959, p58-59. 10 McNeill, The Silver Bough Volume 1, p87. 11 Henderson, Survivals in Belief Among the Celts, 1911, p258. 13 Beith, Healing Threads, p138. 15 Danaher, In Ireland Long Ago, p236. 16 Hingley, Settlement and Sacrifice, p50. 17 Wood-Martin, Traces of the Elder Faiths in Ireland Volume 1: A Folklore Sketch, 1902, p282. 18 Douglas, Scottish Fairy and Folk Tales, 1901, p109. 19 Bennett, Scottish Customs from the Cradle to the Grave, 2001, p17. 20 Evans, Irish Folk Ways, p82. 22 Carmichael, Carmina Gadelica, 1994, p579-580; Campbell, The Gaelic Otherworld, 2000, p134; p548-549; p590-591; Carmichael, Carmina Gadelica, 1994, p548-549. 23 Sjoestedt, Celtic Gods and Heroes, p40. 24 See Martin Martin; See also Campbell, The Gaelic Otherworld, 2000, p590-591. 25 Danaher, The Year in Ireland, p15. 26 Danaher, The Year in Ireland, p15. 27 MacNeill, The Festival of Lughnasa, p420-421. 28 Sjoestedt, Celtic Gods and Heroes, p53. 29 McNeill, The Silver Bough Volume 1, p87. 30 Beith, Healing Threads, p87; MacCulloch, p243. 31 Beith, Healing Threads, p87; MacCulloch, p243. 32 Kelly, Early Irish Farming, p85. 33 Black, The Gaelic Otherworld, 2005, p590-591. 34 Kelly, Early Irish Farming, p53-54. 35 Macinlay, Folklore of Scottish Lochs and Springs, 1983, p115. 37 MacInlay, Folklore of Scottish Lochs and Springs, 1893, p160. 42 MacNeill, The Festival of Lughnasa, p422. 43 Evans, Irish Folk Ways, p275. 44 Hingley, Settlement and Sacrifice, p51. 45 Raftery, Pagan Celtic Ireland, p183-184. 47 Hingley, Settlement and Sacrifice, p51. 48 Hingley, Settlement and Sacrifice, p58. 49 Christopher J Lynn, “Navan Fort”, p611 in Sabatino Moscati’s, The Celts. 50 Hingley, Settlement and Sacrifice, p50. 51 McNeill, The Silver Bough Volume 1, p67. 53 MacInlay, Folklore of Scottish Lochs and Springs, 1893, p196-197. 54 Beith, Healing Threads, p151. 55 Henderson, Survivals of Belief Amongst the Celts, p258. 56 MacInlay, Folklore of Scottish Lochs and Springs, 1893, p81-82. 57 MacInlay, Folklore of Scottish Lochs and Springs, 1893, p202. 58 See Là Fhèill Brìghde and Samhainn.